Gear Up! You're no Bear! I don’t think packs can get much lighter than this! We can’t say it much better! 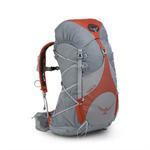 There are three different packs in the Osprey Exos Series. So you can easily find the right size for you! Share your adventures with us! Office Discussion: Trekking Poles, Love ‘Em or Leave ‘Em?